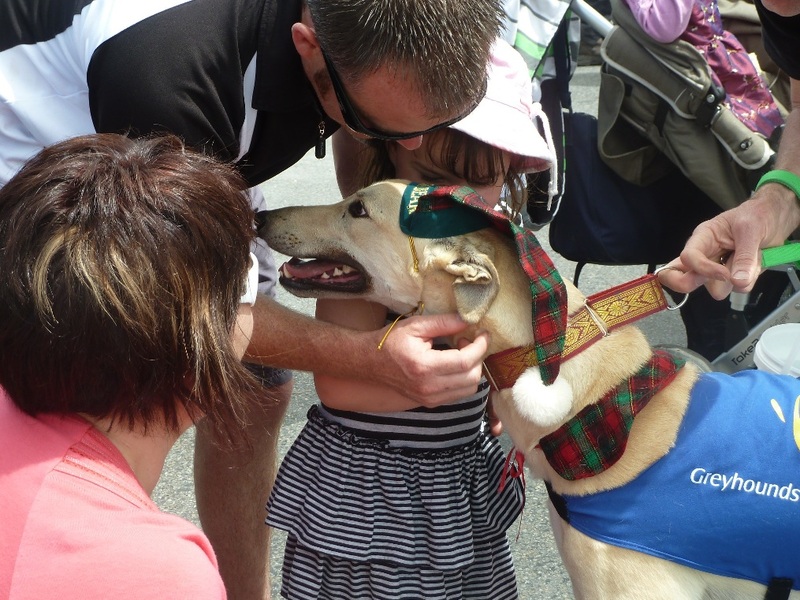 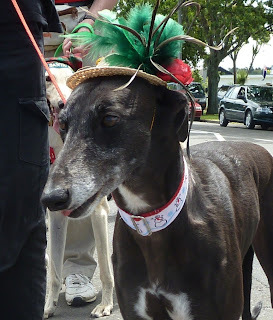 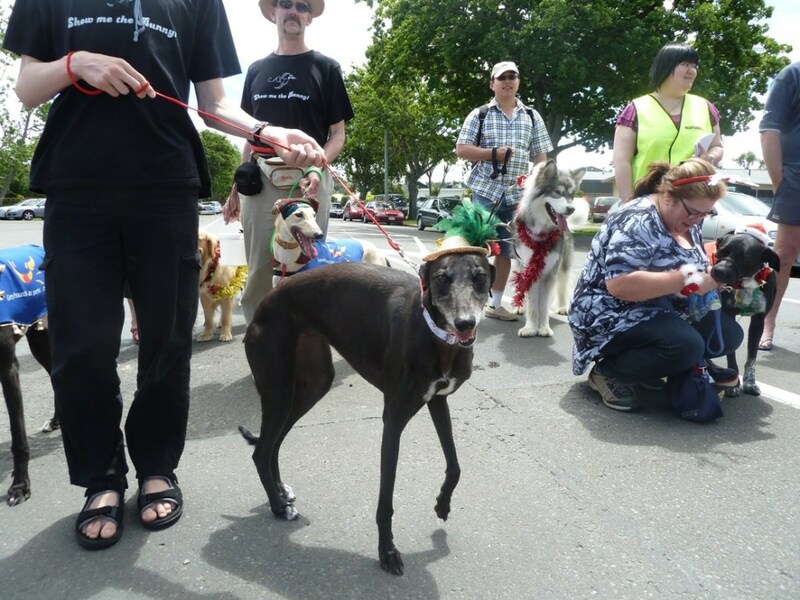 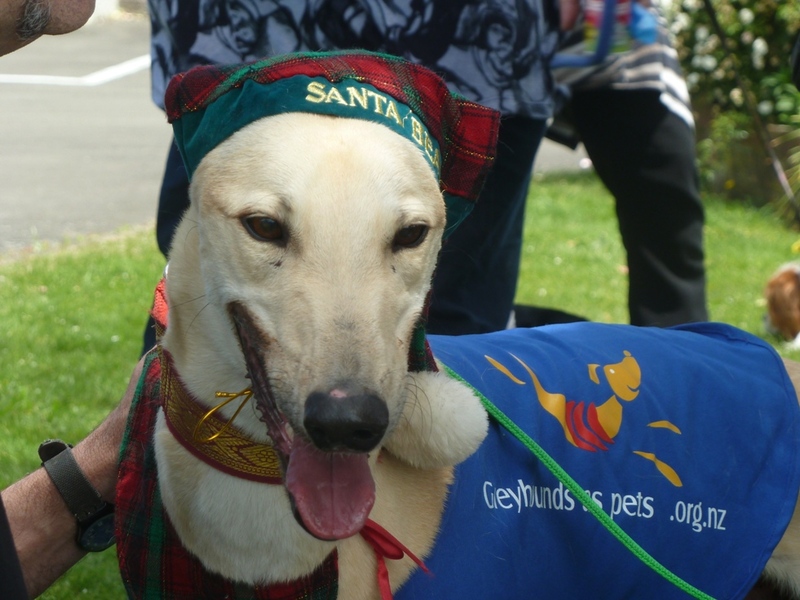 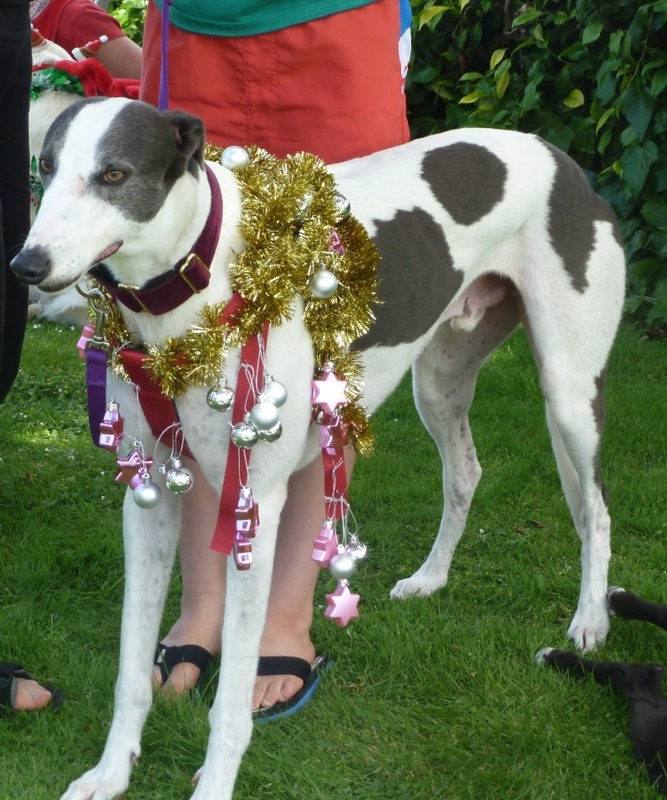 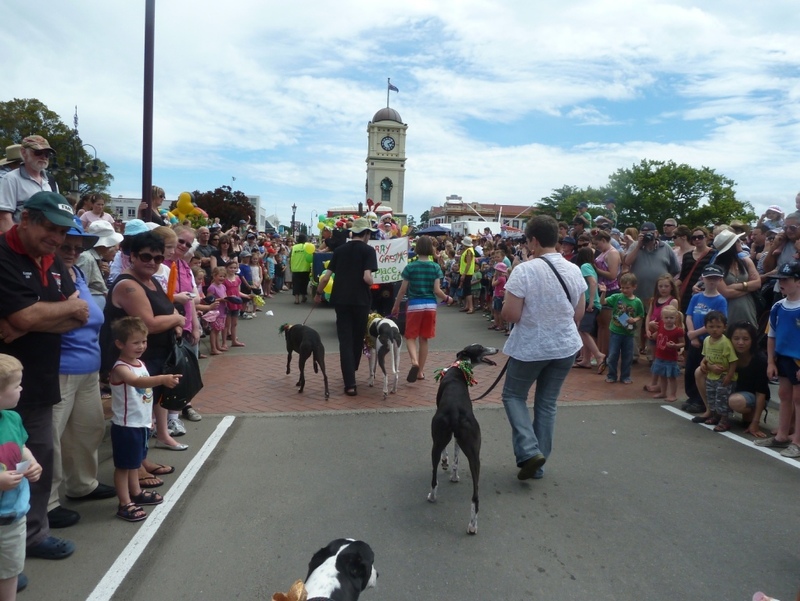 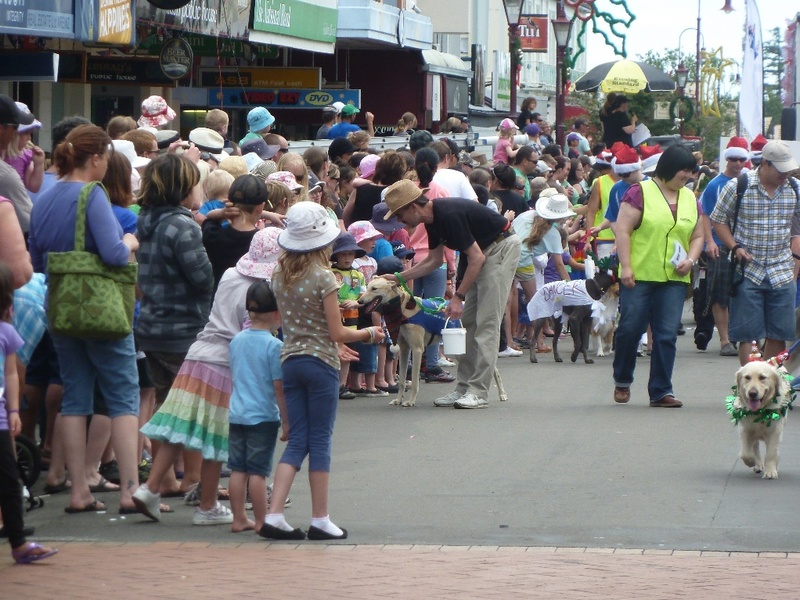 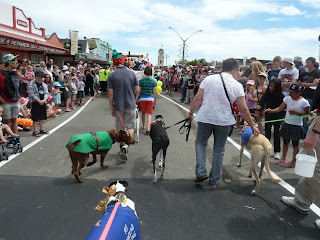 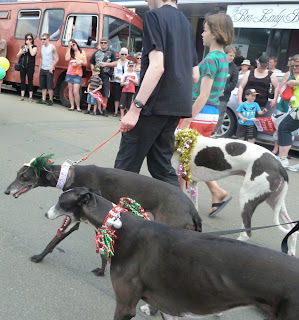 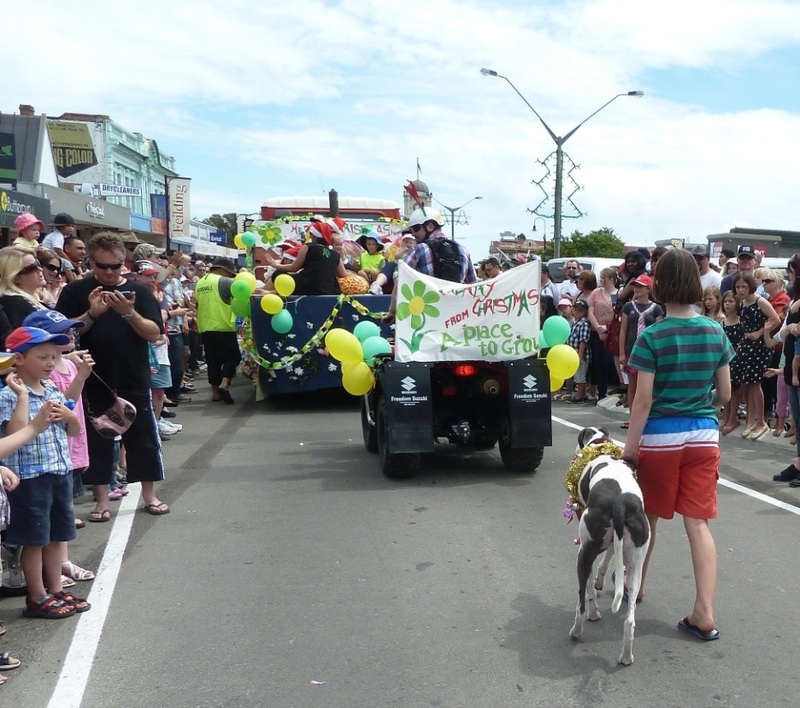 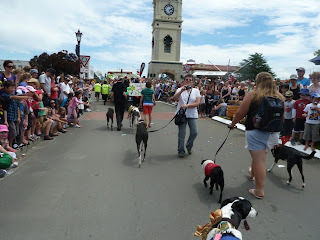 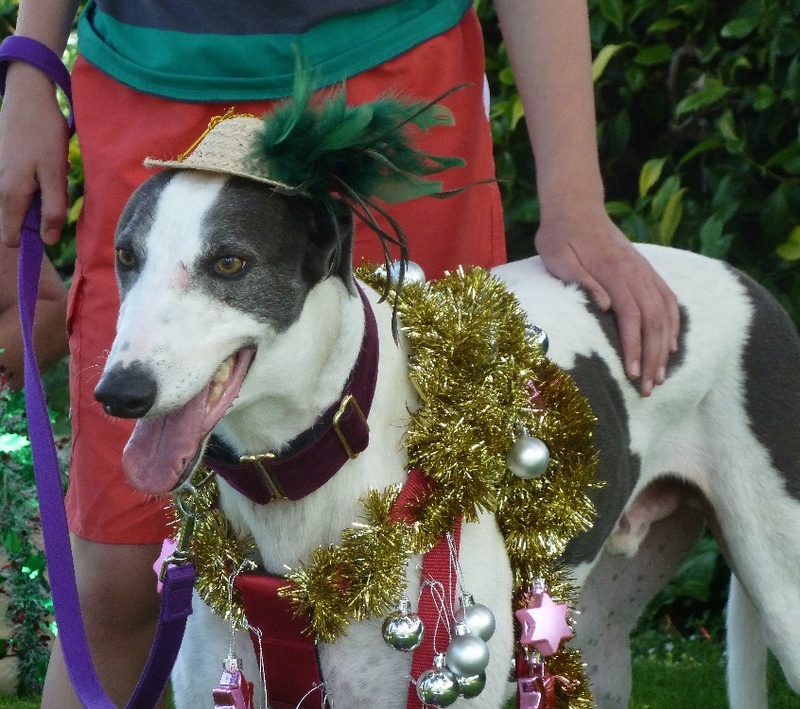 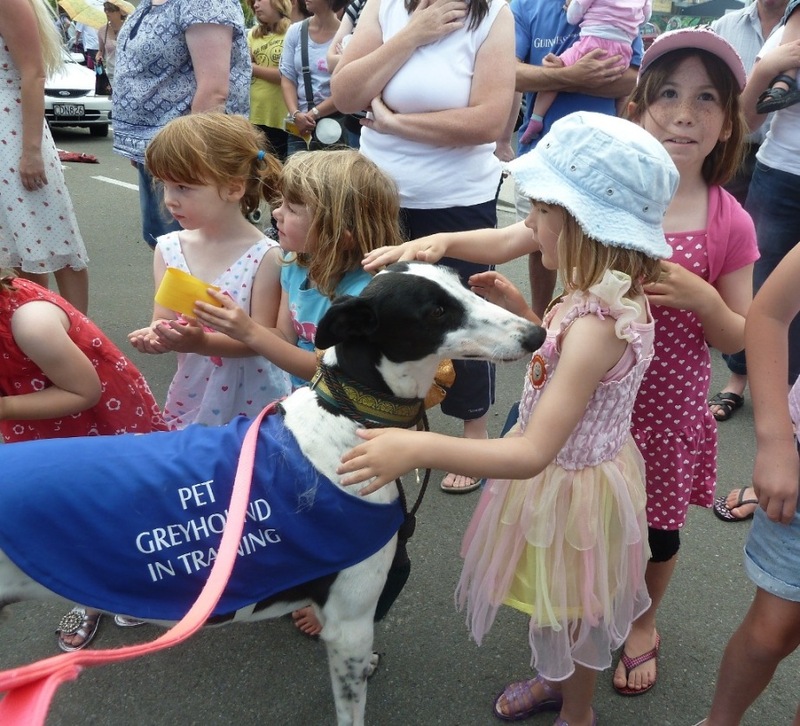 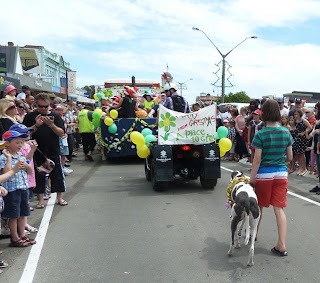 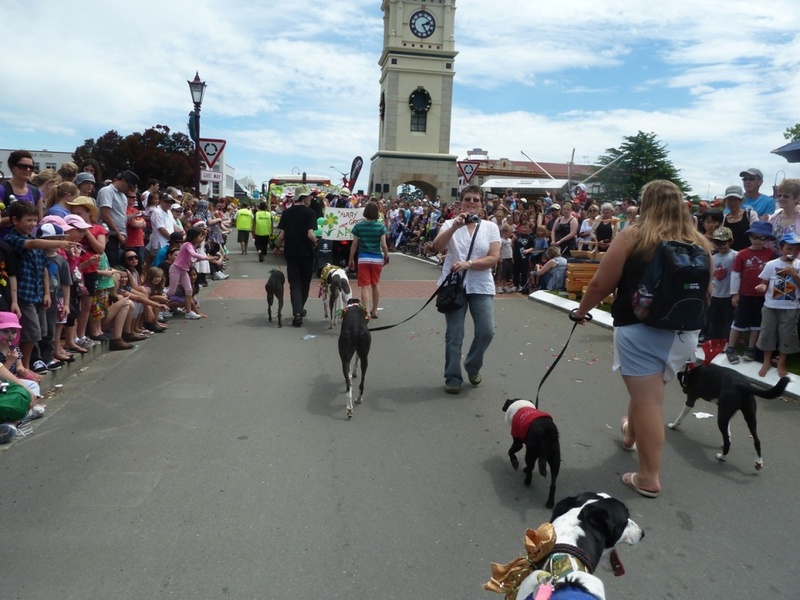 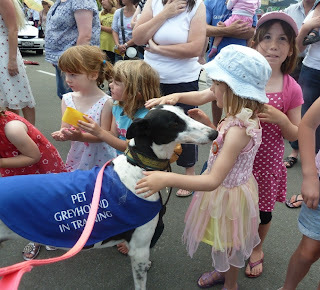 Canine Good Citizen certified dogs from Feilding Dog Training Club were asked to join Christmas parade in Feilding, held last Sunday. Our dog club is one of the leading ones in the country; its Canine Good Citizen (CGC) classes have been attended by numerous GAP greyhounds from Sanson (I will do a post especially on that -watch this space !). 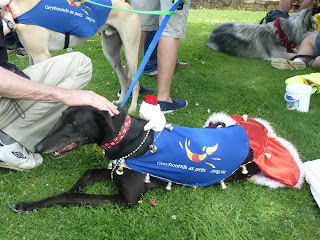 Beryl (Winsome Deluxe), Stanley (Chile Will He) -certified CGC Foundations dogs. 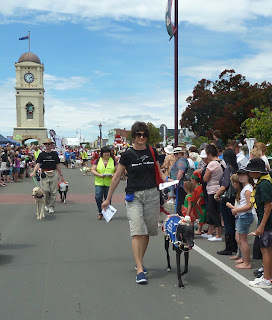 Our Lucy The Ferret - who has CGC Silver certificate. 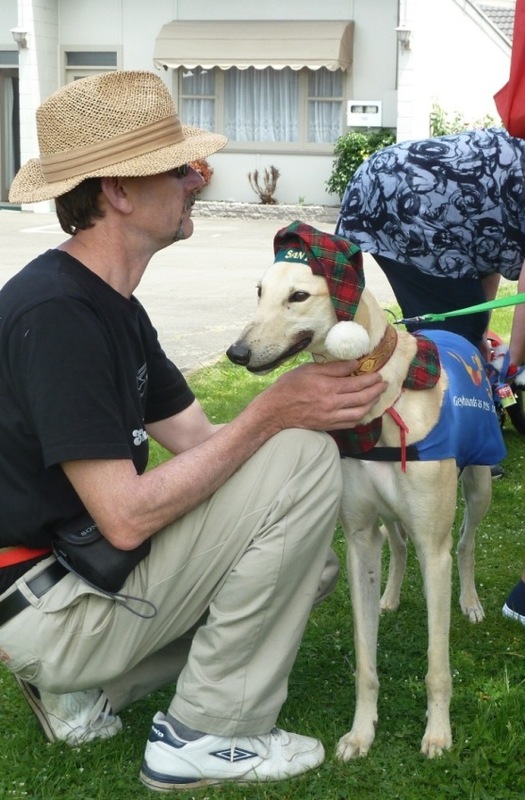 And by special permission from our instructor, Snowy (Cawbourne Snow), who will sit his exam soon :) and also two Sanson greyhounds currently up for adoption: Oscar (Unplugged) and Troy (Powerful Enemy). 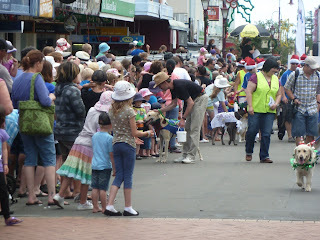 Oscar (in the crowd on the left) truly loved it!